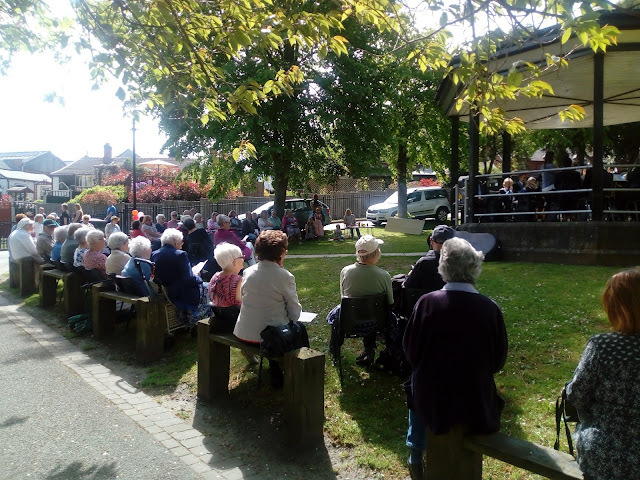 Llangollen churches held their annual joint Pentecostal service around the bandstand in Riverside Park this morning (Sunday). Led by the Rev Phil Poole from the Methodist Church, it included contributions from a number of the other local churches. Musical accompaniment was provided by Llangollen Silver Band.